I’ve fallen in love with London all over again recently. Not just for all the amazing gluten free food (nearly) on my door step, but with the lifestyle and all the wonderful happenings on a daily basis. 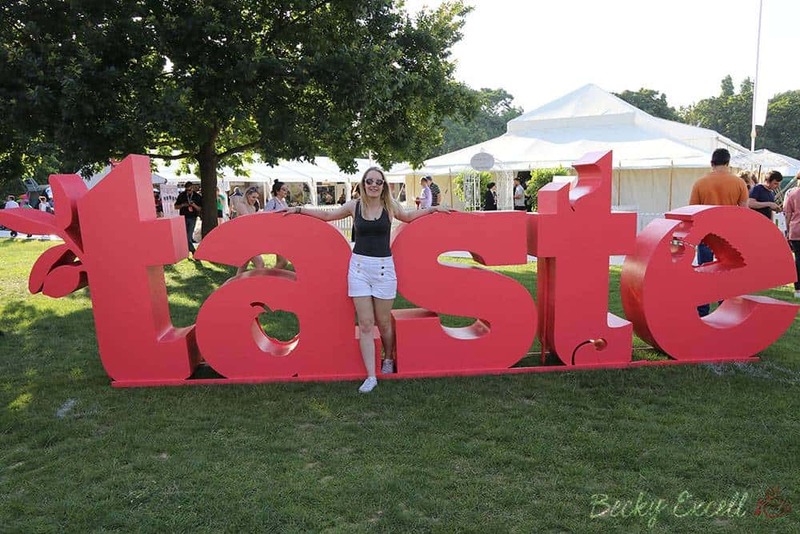 One of those wonderful happenings is Taste of London Festival 2017 which happens once a year in Regent’s Park (and there’s a Festive one in November too!). It seems pretty criminal that I’ve never been before as I used to spend a lot of time in Regent’s Park during the summers when I was at college. It’s one of my favourite parks in London and sounded like such an idillic setting for a food and drink festival. Plus, the good ol’ British weather has been rather kind to us lately, so giving Taste of London a visit seemed like a complete no-brainer. Whilst I’ve been to tons of food markets, shows and fairs across London, none of them quite qualify as what I think of as a food festival. I’ve been to my fair share of music festivals in the past with amazing food on offer (Glastonbury was unreal for food especially) but apart from the food or music, it’s always the festival atmosphere that makes it special for me. I soon found out that Taste of London certainly has that in droves. 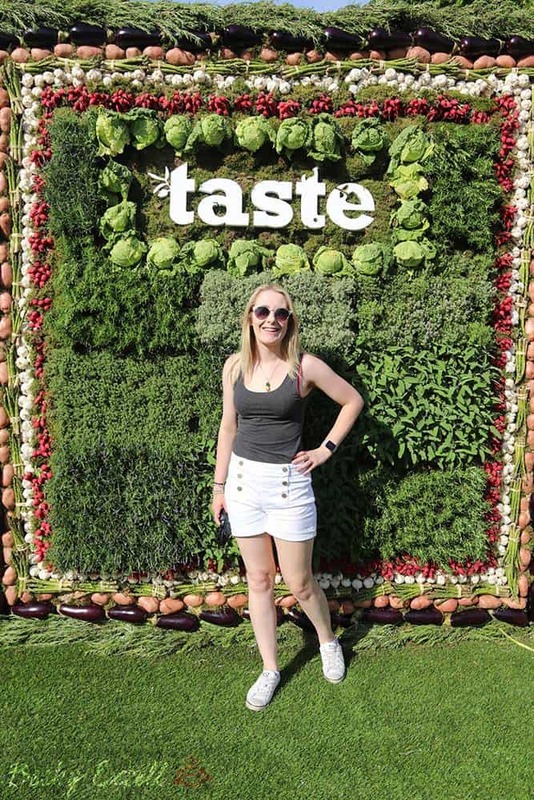 When we first arrived, we got a mandatory photo in front of the irresistibly Instagram-worthy Taste signs before wandering off into food and drink heaven. We were immediately greeted by row upon row of food and drink stands, live cooking demos, cooking classes and mind blowing mixologists. But what Mark and I enjoyed the most was the festival atmosphere we’d been missing so much (minus the wellies and tents!) There’s such a buzz and care free attitude in the air and on a summer’s eve, there’s no other place I’d rather be with Mark. I should probably thank Peroni for enlightening me about Taste of London in the first place, as they were kind enough to invite me down to try their gluten free beer and cocktails. Their stand literally felt like a classy, high-end cocktail bar that had been airlifted and dropped in the middle of a field in Regent’s Park. I fell in love with their wall of flowers which just made the whole place feel so elegant, much like their gluten free Peroni cocktails. They had an award-winning master of mixology making cocktails all throughout the evening, each one resulting in a tropical-looking masterpiece that tasted like pure sunshine. Peroni was one of the only stands serving gluten free beer (and certainly the only one using them to make cocktails) so hats off to them for making sure that us gluten free folk still managed to get a taste of London too. 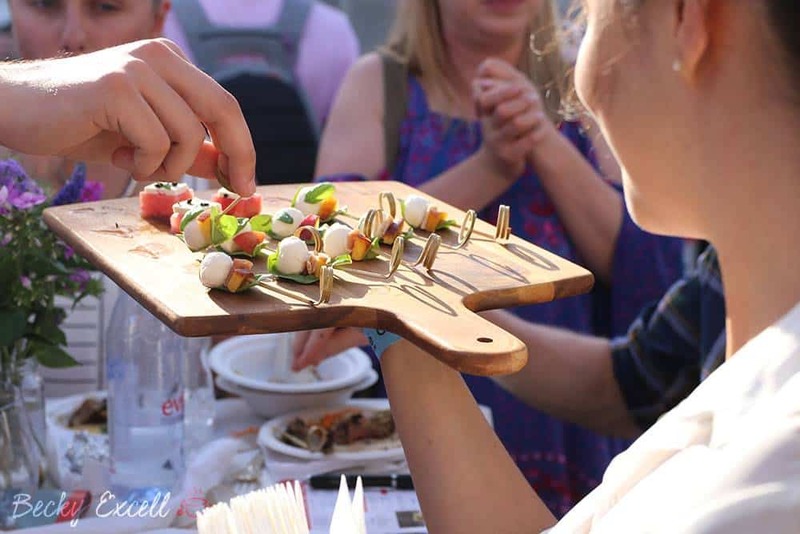 As if the gluten free beer wasn’t enough, they also had some amazing gluten free canapés that looked too good to eat… but I didn’t let that stop me! It just ticked all the boxes for me and to be quite honest, I would have been more than happy to spend the entire evening at the Peroni stand with Mark. 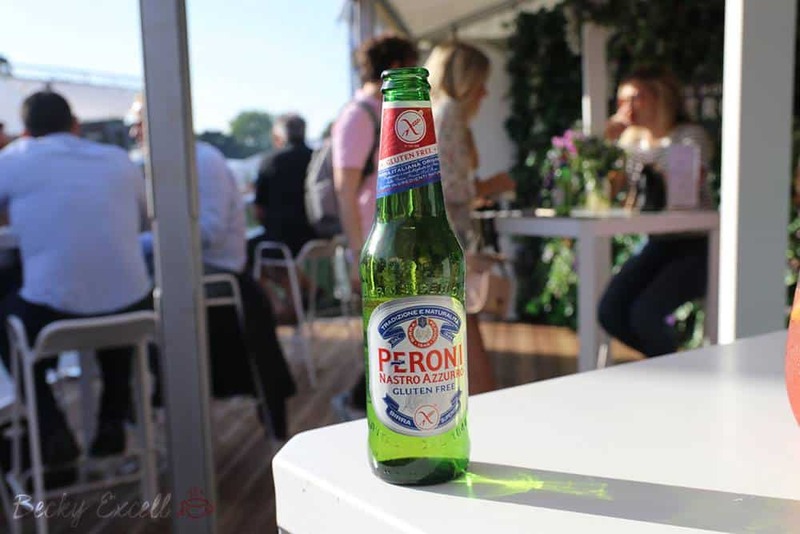 Seriously, if you’re reading this on the day of posting, you’ve still got until the 18th of June to head down to Taste of London and visit the Peroni stand. I promise you – you will not regret it! The rest of Taste of London was just the icing on the cake for me. There were endless small plates of gastronomic perfection on offer with a million insatiable smells hanging on the cool breeze. Thankfully, all the allergens were clearly marked so we knew what was safe for us to eat too. There was every drink imaginable on tap, from swanky gin brands, pirate rum, a Pimms double-decker bus (not to mention mixologists making cocktails out of the roof of a black cab) and everything in between. If we had more time, I would have loved to get stuck in with one of the cooking classes which was almost like an outdoor cooking school in the middle of a festival. There was some unreal live music to boot, mouthwatering cooking demos from world class chefs and most importantly, an enormous deckchair to catch me whenever I needed one. Taste of London, you are awesome! 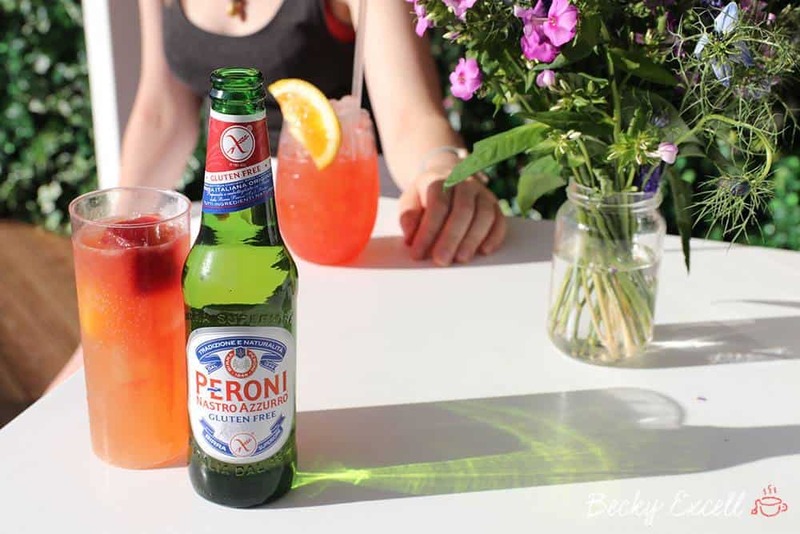 I’ve always seen gluten free Peroni in the supermarket free from aisle (as well as now being on the menus at Pizza Express and All Bar One) but nothing beats an ice cold gluten free Peroni cocktail under the summer sky at the coolest food festival ever, with my favourite person ever. 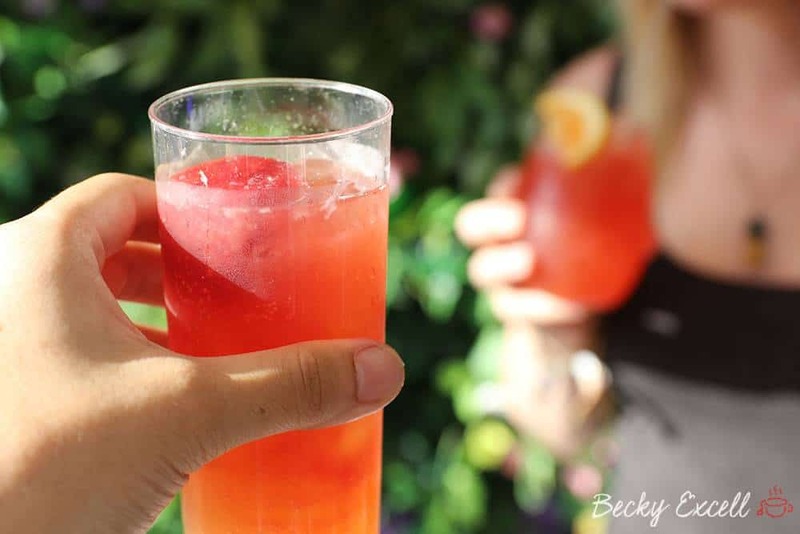 We went to Taste of London on Wednesday this week, but it’s still going strong until Sunday evening (the 18th) so please go check it out before it’s gone until November. What will I do with myself until then?! Well, there’s yet another reason why London is quite simply a paradise for gluten free (and also why you’ll be seeing me there a lot more!). If you’re heading to Taste of London for the day (or two!) 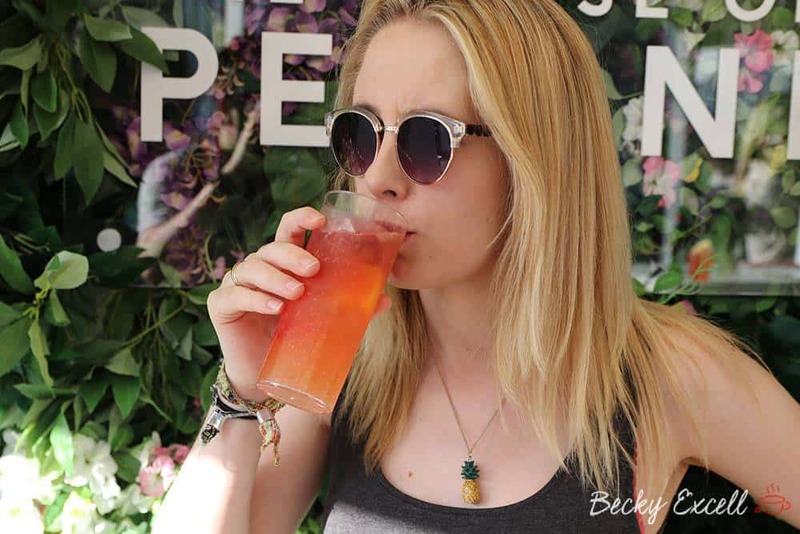 then don’t forget to check out my gluten free guide to London for lots more places to eat out all across London too. 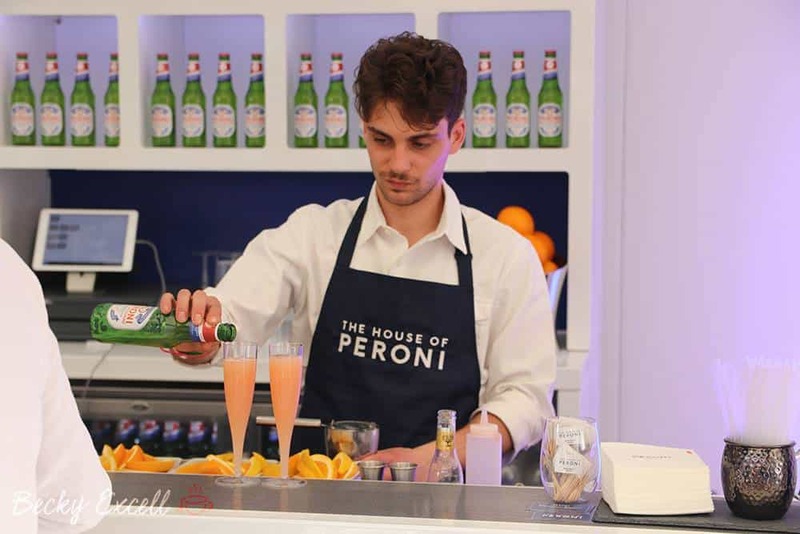 Thanks once again to Peroni for inviting me to Taste of London, the next round is on me! This is a sponsored post in partnership with The House of Peroni.